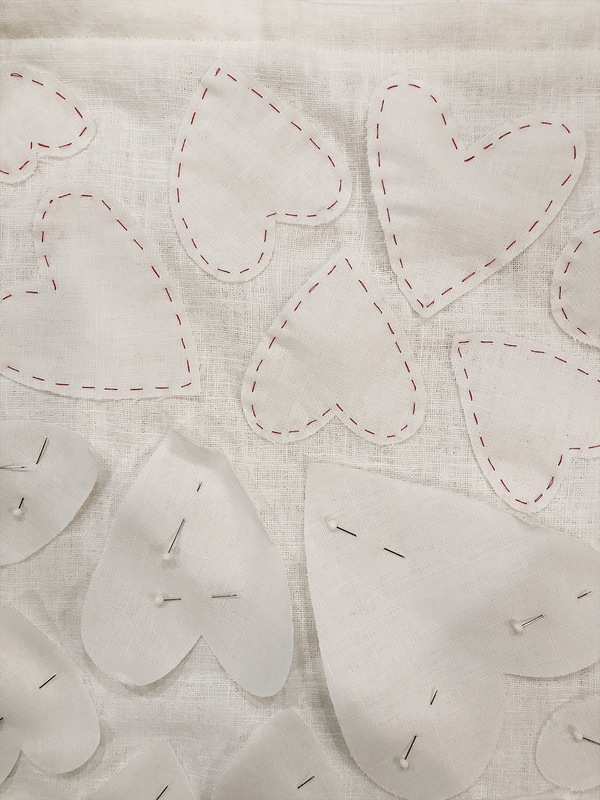 I kind of think it might be easier to cut out these hearts with a pattern and scissors. 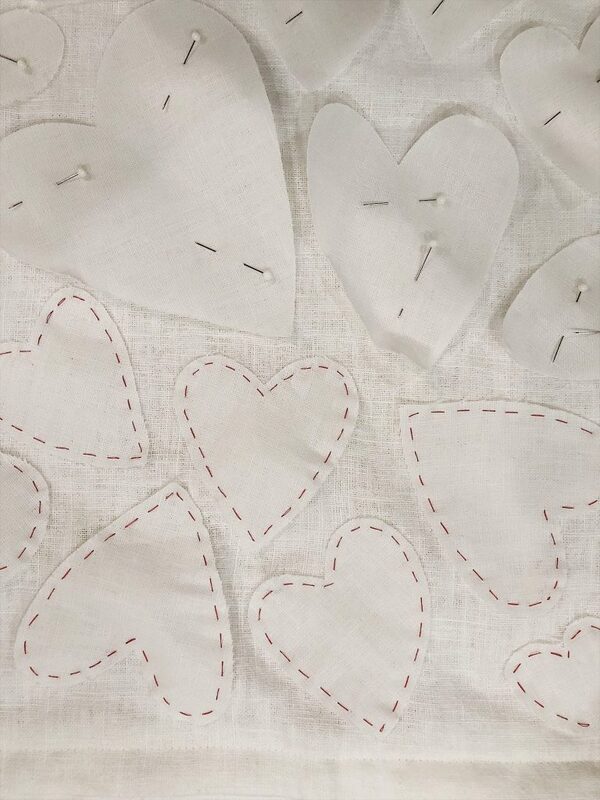 But I have included instructions on how to cut out hearts on a cutting machine. 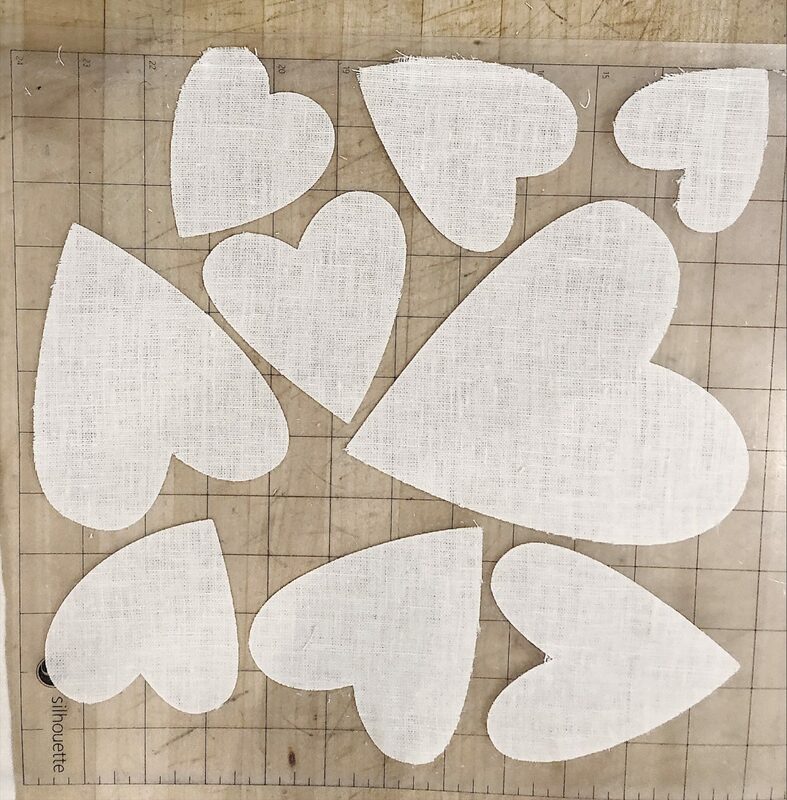 To prepare the fabric for use in your Silhouette, cut 12” square pieces of fabric to fit on your cutting mat. 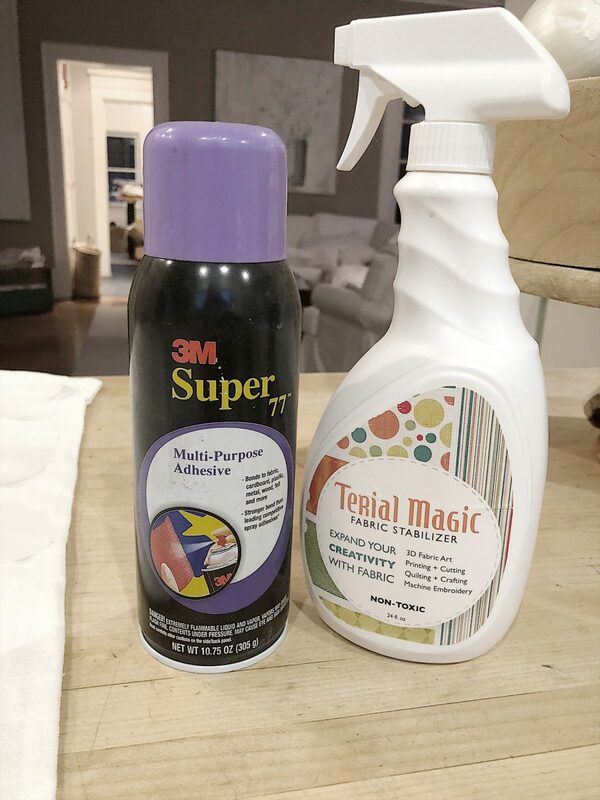 Spray the fabric with the Terial Magic until the fabric is fully saturated. Let air dry for 15 minutes. The fabric won’t be dry but it will be easier to handle. 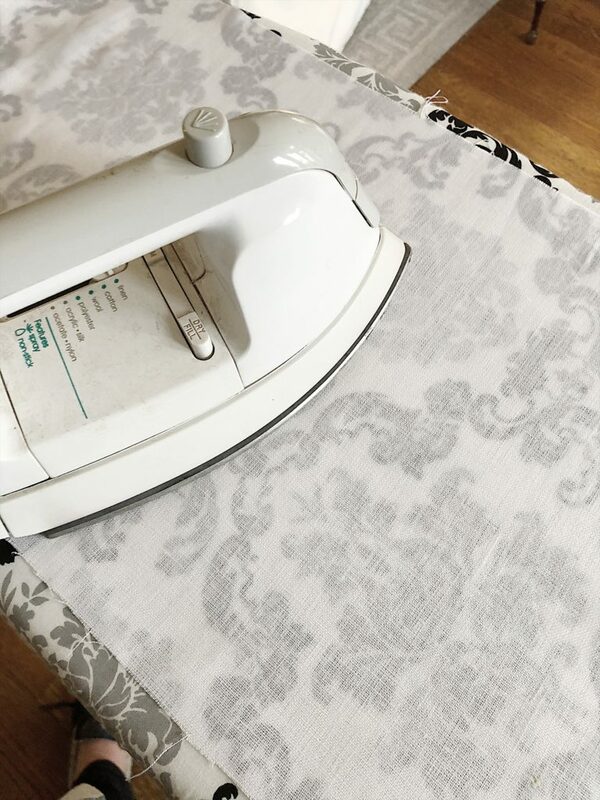 Iron the fabric dry, using a pressing cloth if needed to protect your iron. The fabric should be very stiff. Spray one side of the fabric lightly with the spray adhesive and attach to your cutting mat. 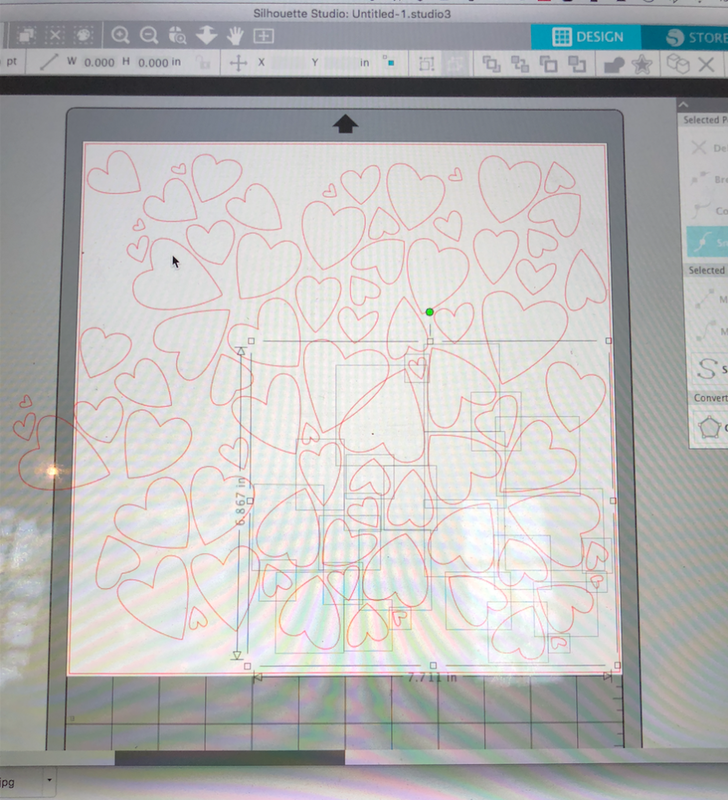 I used Silhouette Design Store Heart of Hearts Design ID#117290. I liked the shape of the hearts but wanted them larger. So I rearranged the hearts by using the Ungroup feature. 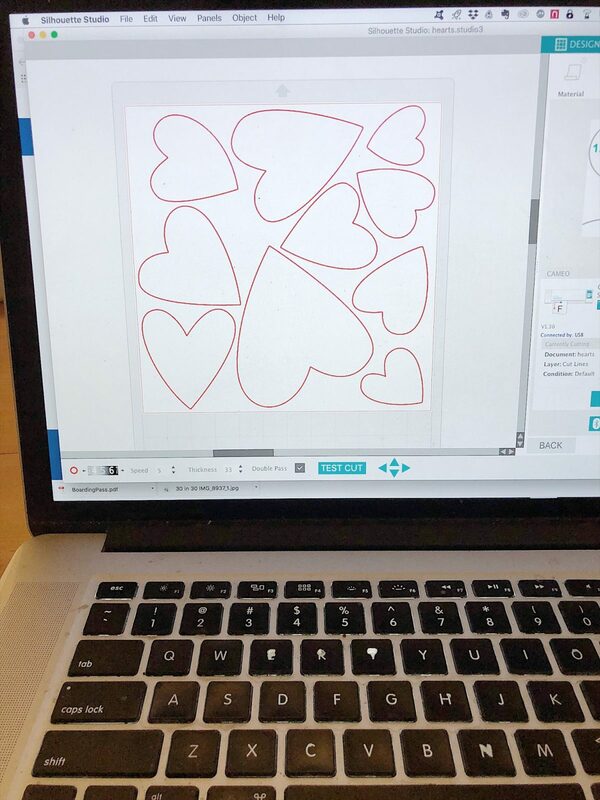 That allowed me to select a few of the hearts and resized the hearts as I wanted. 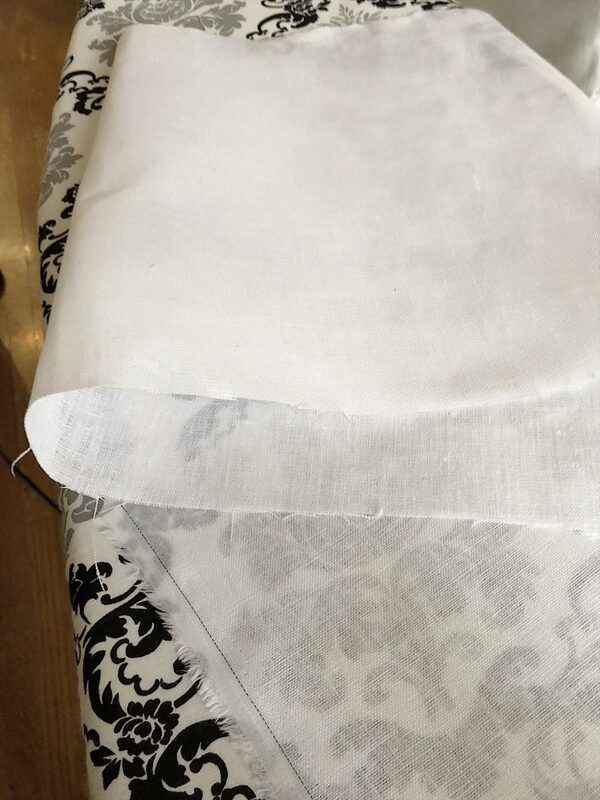 Once you have your final design, be sure to select Fabric, Thick when you send it to the Silhouette machine. I used the settings Needle – 5, Speed – 5, Thickness – 33. I also used a double cut. 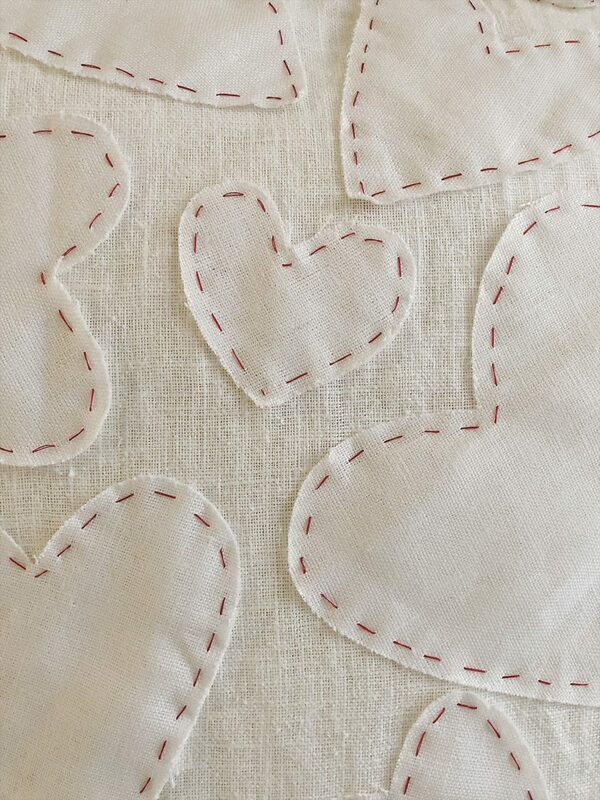 I cut a total of 27 hearts (three cutting mats worth) and had plenty of hearts for my pillow. It was very easy to just pull off the fabric from the cutting mat. 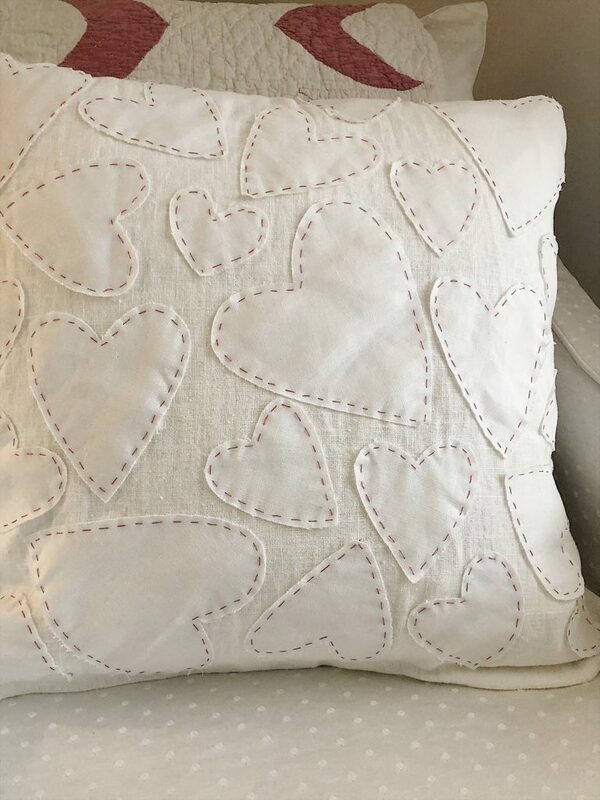 I then placed the hearts randomly on the pillow and held them in place with straight pins. I decided to hand sew them on with red quilting thread. 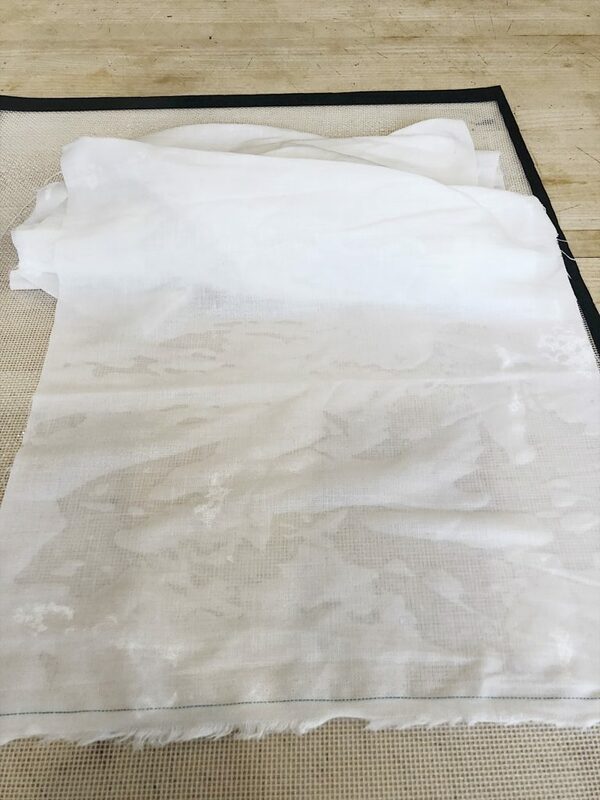 You can also use fabric glue or machine sew them, it is entirely up to you. I used a simple running stitch. 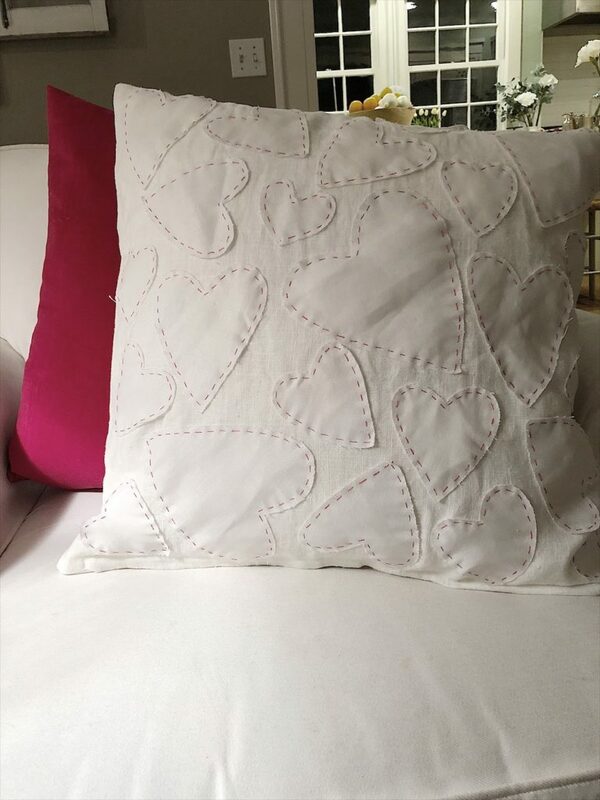 I love how my Valentine’s Day gift pillow turned out. LOVE IT!!!! I’m going to try!! Very cute-I have my late Mother’s. button down shirts, and this would be a perfect gift for my sisters. She wore all pinks and pastels ( in true Pasadena manner) Thank you for sharing! Love the idea of a loved one’s old clothing. It made me think of the idea of using my daughter’s favorite baby blanket (for the hearts) that I just can’t seem to part with!